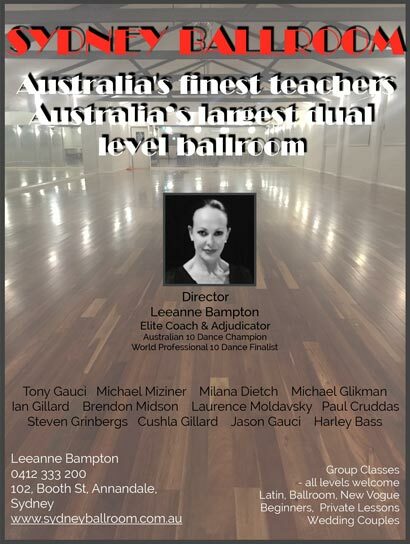 Sydney Ballroom Dance Studio principal Leeanne Bampton is one of Australia’s most highly respected professionals in DanceSport, with a string of titles as long as your arm, and highly sought after for TV shows such as So You Think You Can Dance, Dancing With The Stars, and musical productions such as Strictly Dancing. We asked Leeanne to define the Paso Doble, a Spanish gypsy dance taught in the Latin group of dances alongside Cha cha cha, Rumba, Jive and Samba. "The Paso is a dance that catches the eye with colourful costumes and moves to a strong marching rhythm. It is a mixture of Latin American and Flamenco gypsy music" says Leeanne. "The character of the dance in choreography depicts an imaginary bullfight, with the man as the matador, and the lady as the bull and at times the cape of the matador. There are three musical highlights rising to a crescendo, and normally two of those are played on the competition dance floor. The Paso Doble has syncopation, fast footwork, and plenty of scope for dramatic interpretation. 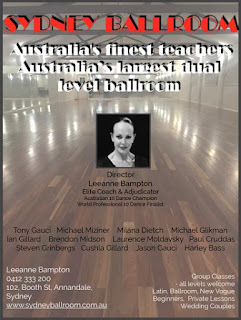 It's one of my favourite dances to teach and choreograph."